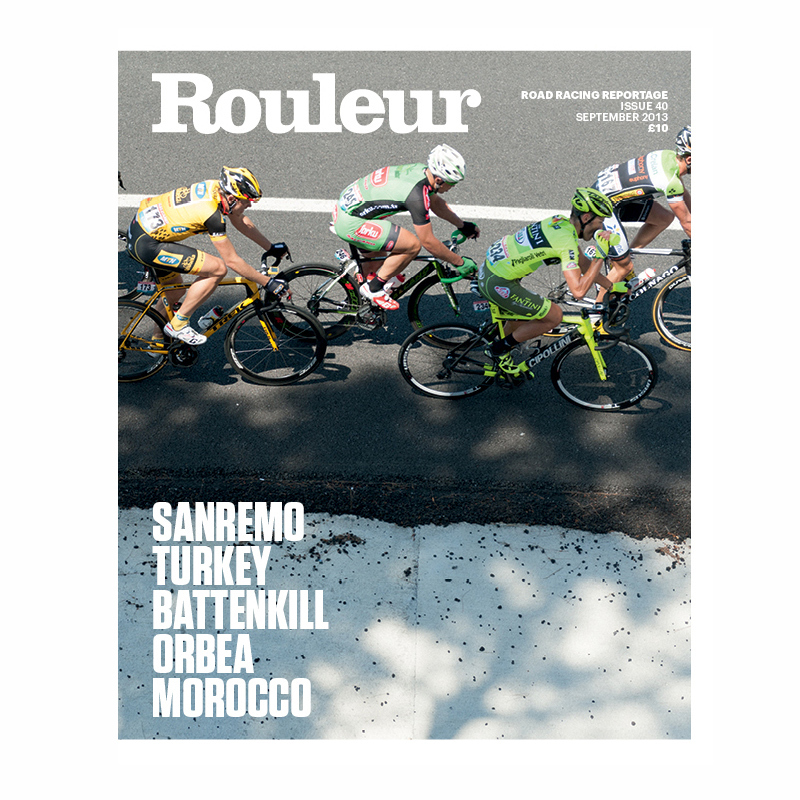 The new issue of Rouleur is now in stock. The issue covers the shocking conditions at Milan-Sanremo with interviews from breakaway riders Lars Bak and Filippo Fortin. The report also notes the pain endured by the neutral service mechanics who spent the whole day helping the riders dress and eat whilst perched on the end of a motorbike. On a more cheerful note, the issue also reports on the lucrative post-Tour Criterium racing. Stars of the Tour are paid huge appearance fees to race with often suspiciously predictable results. Crowds are numerous and fuelled by copious amounts of beer & frites. A favourite article of mine was the life of a doping control officer – stories include intimidation, aggressive dogs and barging in on affairs. There are, of course, plenty more articles, reports and photos to keep you going until the next issue is published in early November.